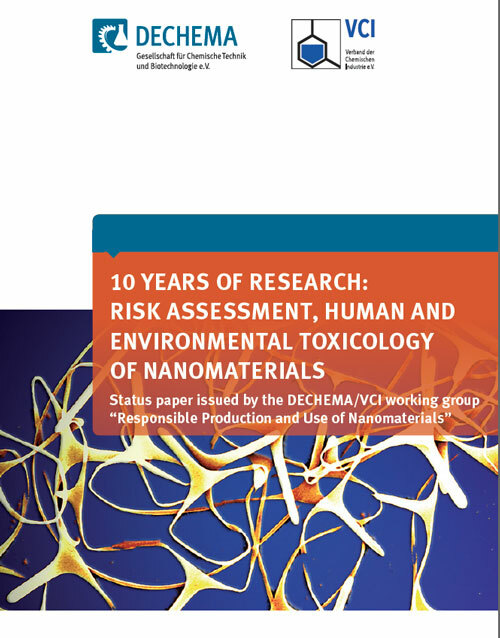 Experts from industry and research institutions have compiled 60 pages with the current status of safety research and give an overview on national and European projects on safety research of various nanomaterials for humans and the environment. The researchers point out that the size label "nano" does not represent an intrinsic hazard characteristic; instead, the impact of nanomaterials depends on other factors as well, such as the nature of the material. However, newly developed nanomaterials have to be submitted to a risk assessment just like any other new product. The researchers call for an adequate infrastructure in toxicology research and education in order to enable a continuous safety research based on high quality and international research standards.